St. John’s Eve (June 23rd is the birthday of John the Baptist) is usually celebrated by the Danes by meeting with family or friends and having dinner together. 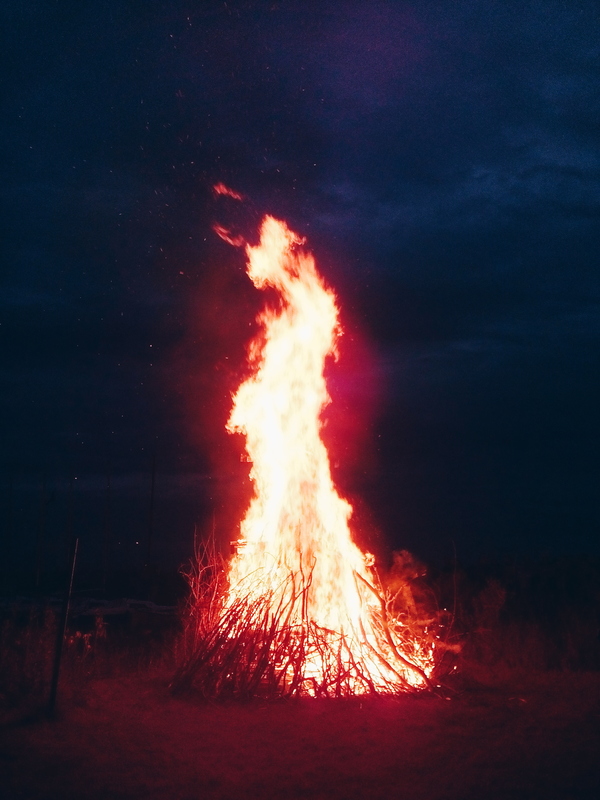 However, the highlight of this day is the bonfire where they place a straw witch on top of it to be burned. It is said that the burning sends the “witch“ away to Bloksbjerg, a mountain in the Harz region of Germany. But today, this event serves as a social gathering where friends and families get cozy around the fire. 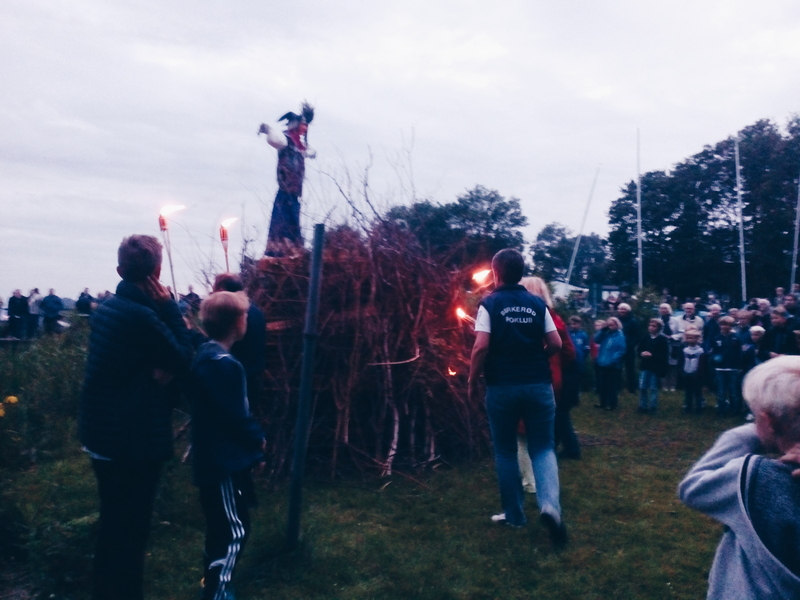 This tradition started centuries ago but many Danes still participate in the tradition. 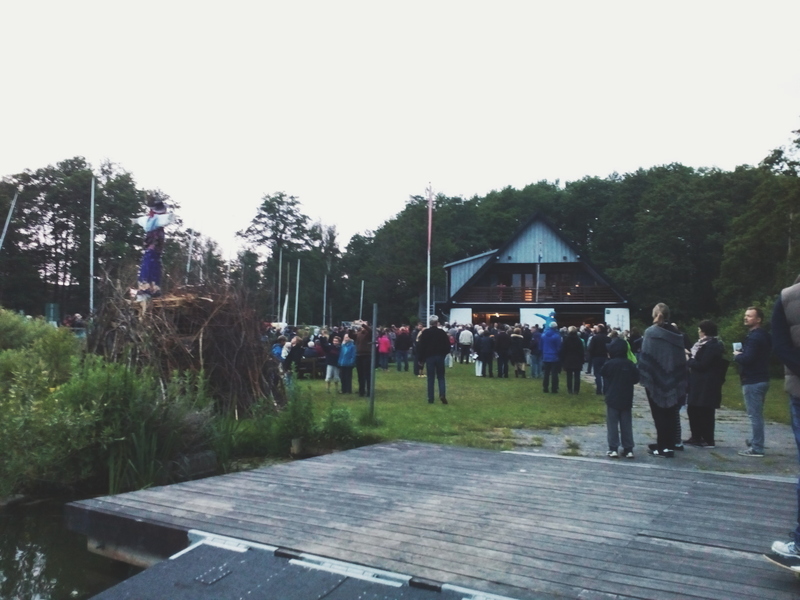 10pm It started with a speech then followed by the people singing the Holger Drachmann’s ‘Midsommervise’ (Midsummer Song). The straw witch at the top of the bonfire. 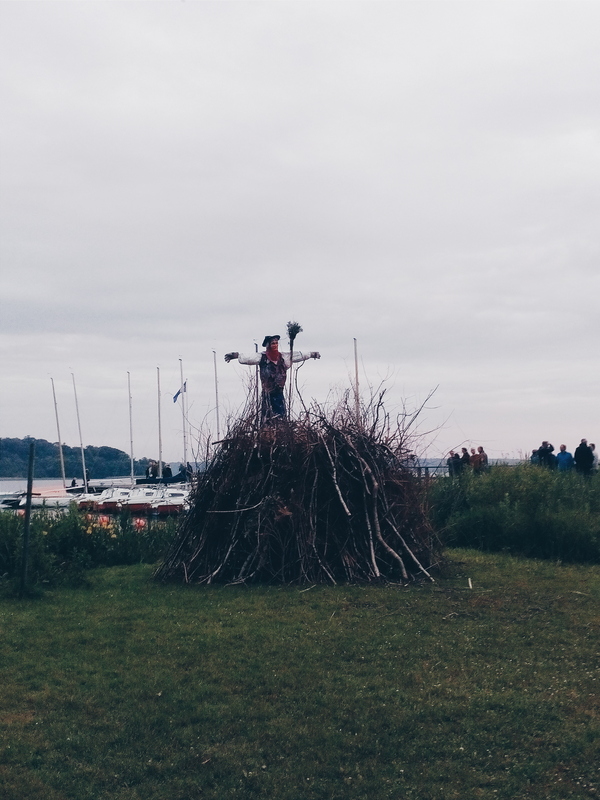 Bonfires are actually done all over the country and this one is located near the Furesø lake where you can actually see some sail boats at the back. 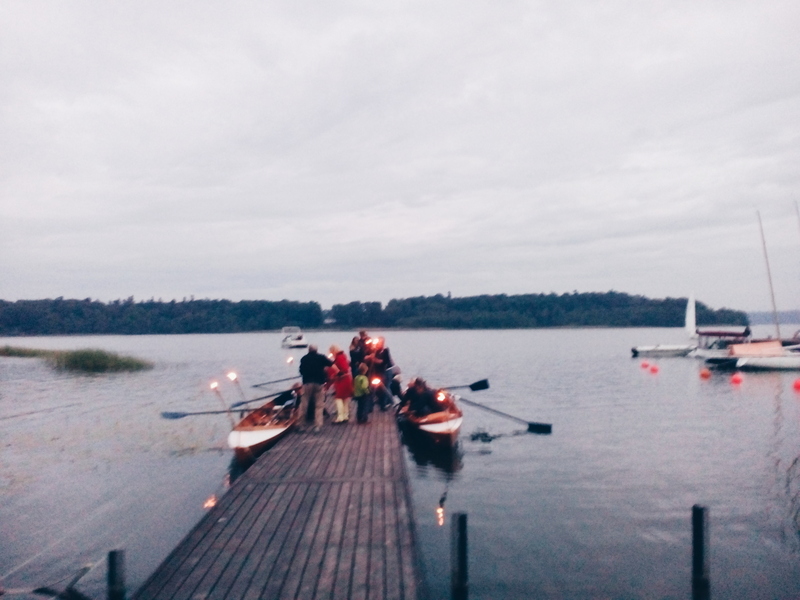 The people came from across the lake to start the bonfire. The bonfire in it’s glory.